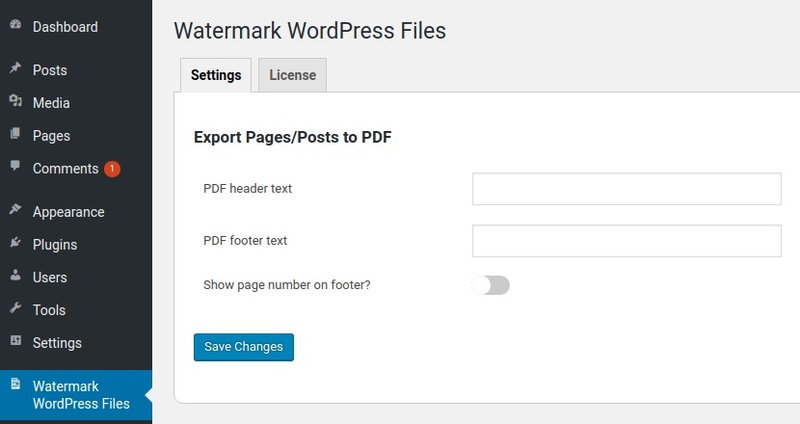 After activating our Watermark WordPress Files plugin, you will see “Export this post to PDF” button in the right sidebar while editing a page or post. Click on the button and you’ll have all your page’s content in a PDF file. You can also show page number as well as customize the header and footer of the PDF file under the plugin’s Settings page. Please note that if your media file in content is deleted from the library, the exported PDF will have a blank space. This feature applies to Watermark WP Files version 1.0.3 and above. Always make sure to you’re using the latest versions of our plugins.